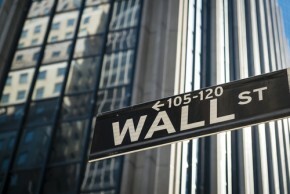 When one hears the words “Wall Street” they are most likely to think of money. A lot of money. 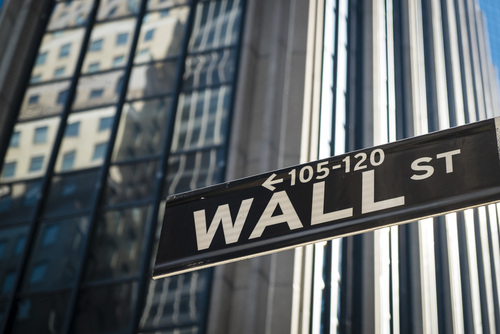 It’s true, Wall Street is closely associated with large sums of money, and it is also associated with long, stressful hours and drug use. But are Wall Street executives actually using drug stimulants regularly, or is that just a fictitious idea fed to us through movies? Kevin Roose, author of the book “Young Money”, delved into the lives of eight different young Wall Street professionals in order to get a glimpse into the somewhat secret world of high finance. What he discovered surprised him – because not everyone is as happy and confident as one would think they’d be. One particular young man that Roose profiled grew up in a small town, without a lot of money and without a pricey college education. He worked his way up into the world of finance, and questioned his choices every single step of the way. There was no doubt that he was highly successful financially, but morally he wasn’t sure that he was making the right decisions for his life. He didn’t consider himself part of the basic structure of Wall Street, and was riddled with self-doubt that strongly implied he wasn’t the confident, self-assured individual others may see when they look at him. Roose found the much the same story among the other seven individuals he profiled- there was a lot of self-doubt that seemed to keep them perpetually anxious and uncertain about their work. While they may be making large sums of money in their early twenties, they are also working sixty to one hundred hour work weeks, often with absolutely no control over their schedules. This creates a lot of additional stress and anxiety because they essentially cannot create a normal rhythm or pattern to their life, and are constantly on edge. One young professional told Roose that he didn’t actually mind the long hours – he minded the fact that he never knew when he would have to drop everything and go in to work. He could be at an important event, like a friend’s wedding, a family member’s birthday or even their own anniversary dinner and suddenly be called in to work, without any option of refusing. With all the money and stress flowing through Wall Street, drug use may seem like a normal and even expected outlet. Roose’s research indicated that while the current Wall Street drug scene may not be as it once was or as it has been portrayed in movies, it is clear that these executives are still using drugs. The surprising point may be the reason for their drug use – as opposed to using drugs in order to party and get high, Roose found that individuals are taking stimulant-type drugs, like the Attention Deficit Hyperactivity Disorder medication Adderall, in order to stay up longer and work more. Roose also discovered widespread and extensive alcohol use, but this seemed to be more of a social mechanism. The use of stimulant drug substances seemed to be more of a driving demand to get and stay on top in a busy world where everything needs to be better and faster. It is clear that individuals who are using drug substances as a solution for their problems – any problems – are unaware of safer and more effective methods of coping. Wall Street executives who are using stimulant drugs regularly just to function at their jobs are headed toward certain danger – as is proven by the story of one Bank of America intern who supposedly died after working three all-nighters in a row and suffering an epileptic episode. Roose discovered that some banks are trying to take action and solve the problem by enforcing mandatory vacations days. That said, individuals who choose to pursue the world of high finance should establish their own routines and patterns, and when stimulant use seems like the only option to stay on top, they should stop and honestly consider what their life is actually worth.